Is meal planning part of your New Year’s Resolution? For those of us following Weight Watchers, having meal plans with the Freestyle points included can make the switch easy and stress free! We all know how powerful meal planning can be. But the key to lasting success is finding a system/approach that is right for you. As soon as I’ve rung in the new year, I will be turning to my favorite antidote to all the holiday excess: soup. I’ll make soup my food of choice for as many meals as I can for a week or two until I’m feeling light, healthy and energized. Soup is one of my favorite foods for slimming down without feeling hungry or deprived. Packed with good for you ingredients, a tasty bowl of soup fills you up, crushes cravings, and keeps your energized for hours. I have clicked on #87 menu planning picture. Is there anything more? Such as text or recipe. I see only 9 lovely photos. Is there a listing of your plan with a link to recipes? Is it just the soup recipes? I don’t see link to see your plan. Your stuff is SOOOOOO good and helpful, but man is it hard to find on pages like this. 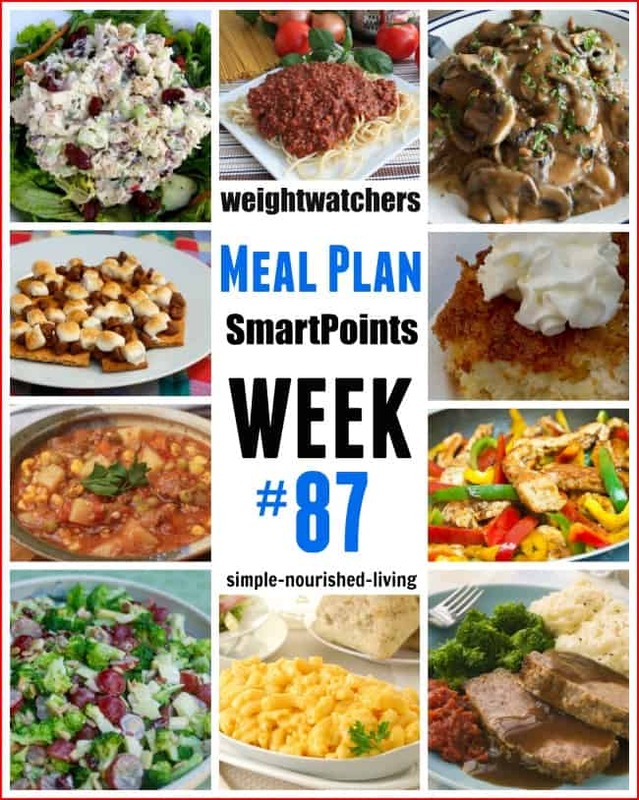 Is there any way to make the actual meal plan and recipes stand out more? Thanks Penny, I’ll see what we can do to make the recipes/meal plan portion of the post stand out more! !